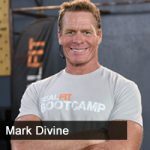 In this 10th episode, Jason Hartman talks with Wall Street worker turned Navy Seal turned author, Mark Divine about the importance of striking a balance between your own personal, spiritual and emotional being and how that can influence the way you work in business. He uses his Seal experience to write his latest book, The Way of the Seal, which provides realistic and useful advice for achieving this balance. 12:30 – What passes for ‘business’ in Wall Street is not for everyone, and some workers simply don’t want to be a part of that environment. 15:00 – Think about why you do what you do. If it’s just to scrape money off the top, that’s just flat-out wrong because you’re not adding any value to society. 20:00 – The internet is changing the world and the way it works, from democratizing publishing and more in the same way the information revolution worked. 23:00 – In the times between the old and the new, the ones with the biggest guns and the biggest biceps will come out on top. 26:30 – An awareness of your own situation and your ability to react to it are skills you learn as a Navy Seal, but they’re also skills you can apply as a businessman or entrepreneur to your everyday working life. 28:30 – The realm of your subconscious, your creativity, your heart mind and your belly mind leads you to the seat of intuition. 30:45 – The importance of movement is still fundamental: children don’t really start to learn until they start to crawl, and if they miss that stage, that sets them back a long time in terms of learning. 37:30 – Understandably, it can be difficult to find the time to exercise, but if you can make the effort to find that time, it will make a huge difference. 44:30 – Working on the bookend system of the morning and evening ritual can both set you up correctly fr the day ahead and settle you enough for a good night’s sleep.